Give your new 4K TV the Ultra HD content it deserves. The biggest question from anyone who has run out and purchased a new 4K TV is often, "How do I watch 4K video?" It's not as simple as turning on your cable box, but luckily more options are available these days to enjoy stunning 4K gaming, videos, movies and TV shows at home. Keep reading to learn about some of the most popular ways to unlock the full potential of your 4K TV and ensure you're not settling for 1080p. Where Can I Stream 4K Video? Many people these days are living in a streaming world, which, until recently, meant settling for less than the best in terms of picture quality. Thankfully, the technology to stream 4K is growing and it doesn't take much to get connected to the content you love. To get started, just make sure you have a reliable and fast internet connection. Netflix suggests an internet connection speed of 25 megabits per second or higher to enjoy their 4K service, so be sure to check with your internet service provider to find out whether you'll need to upgrade your plan to achieve that sort of speed. Once your internet is up to speed, you'll want to look at the various streaming services out there. If Netflix is your provider of choice, opt for their Premium plan at $11.99 per month. In addition to accessing their Ultra HD 4K content, you'll also be able to watch Netflix on up to four different screens/devices at once. Another popular streaming service with beautiful 4K TV shows is Amazon Prime Video. It's included with the standard Prime plan, which costs $99 per year or $10.99 per month. While not all of their videos are available in true 4K, many Amazon-produced series, such as "The Grand Tour" stream in 4K quality. If it's free 4K streaming video you're after, check out YouTube's growing selection. Just use the filter button on any search to find 4K content. You also may want to checkout the ad-free YouTube Red service, which new subscribers to Google Play Music can currently try out for four months free. Enjoy some high-definition nature videos without sitting through those annoying ads. What Devices Play 4K Video? 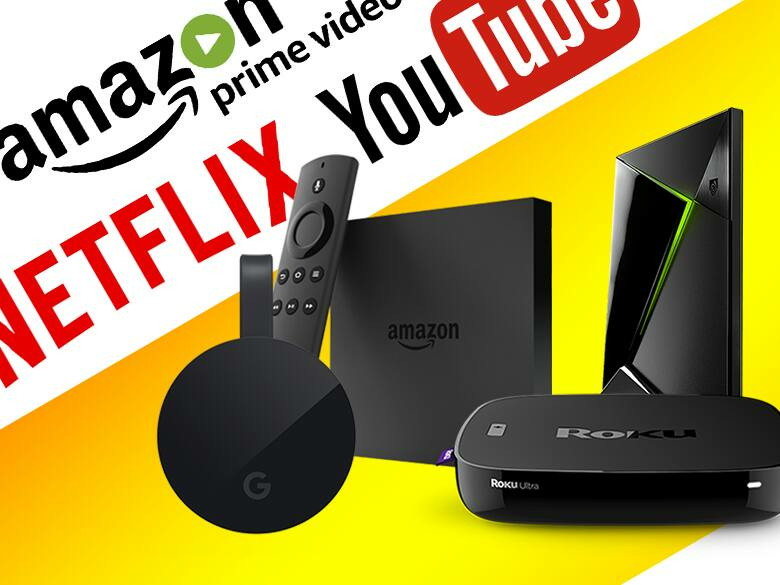 While you can certainly stream video directly through most 4K smart TVs from brands like VIZIO, Samsung or even Element's Amazon Fire TV edition, there are accessories available to expand your collection of 4K streaming applications even further. Google has always been one of the biggest innovators in streaming technology with its Chromecast products, and the newest Chromecast Ultra is their best option for 4K video content. Chromecast Ultra bumps the price up from $35 to $69, but discounts can be regularly found right here on Slickdeals. With this simple solution, you can seamlessly "cast" content from your smartphone to your TV, or enjoy 4K TV shows and movies from the Google Play Store. NVIDIA's new-for-2017 SHIELD TV is a fast and powerful Android TV experience, delivering 4K HDR and voice command capabilities. This compact set-top box gives you access to the Google Play Store, and also includes Google Assistant, bringing together enhanced search functionality and smart home control all in one place. Seen as low as $179.99 for the 16GB version, this entertainment hub works like Apple TV, but can also stream hi-def games from the cloud or a local PC. Get a closer look at the many features of SHIELD TV with our hands-on review. Another popular media player is the feature-filled Roku Ultra. This "Ultra" device costs $109, but new DirectTV Now members can get a free Roku Ultra when pre-paying the $70 cost of a two-month plan. Roku has one of the largest libraries of streaming applications, and should keep you connected to the latest 4K UHD videos as the various providers roll out updates. Alexa, can you stream in 4K? The answer is now a resounding "yes" with the new Fire TV box from Amazon. For $89.99, you can sit back and enjoy your favorite 4K Amazon Prime Video shows like "The Man in the High Castle" or "Sneaky Pete." The Fire TV unit also has the added benefit of allowing you to control any smart home devices from the remote with Alexa integration. How Do I Watch 4K Movies? There are plenty of ways to expand your digital movie library with 4K content. Several providers are now offering UHD or Ultra HD 4K movies that you can stream or download locally. For those using a Chromecast Ultra, SHIELD TV, or a Chromecast-supported TV like the latest VIZIO SmartCast TVs, the Google Play store is your source for the latest 4K films. While 4K UHD movie rentals will cost you around $7.99, you can find frequent discounts on Slickdeals. 4K movies are also available for purchase at $29.99 for newer releases. Anyone who has used the Walmart-owned VUDU service may already have built up a digital movie collection by redeeming codes packaged with many Blu-ray films. The company was one of the earliest to adopt the UHD format to fill out your 4K TV display. VUDU Ultra HD film rentals and purchases will cost you the same compared to Google Play Store, however, VUDU is a Slickdeals staple and offers deals frequently. Not to be left out, FandangoNOW also has a growing collection of 4K Ultra HD video content. The streaming service application can be found on the Roku Ultra, SHIELD TV, or LG and Samsung 4K Ultra HD capable TVs. The service doesn't have UHD movie rentals, but you can purchase 4K films for $29.99. FandangoNOW also adds the unique ability for you to store your Ultra HD movies on any VIDITY-enabled storage device. What Devices Have 4K Gaming? As your favorite online videos, TV shows, and movies move to 4K, the gaming industry has also adapted to put ultra high-definition in your hands. While the latest gaming consoles or PCs may cost more than most of the other 4K streaming accessories, they make up for it in overall functionality. Sony's newest PS4 Pro may cost $400, but it can unlock the true potential of your new 4K UHD television. The device has a growing library of true 4K UHD games, including "Uncharted 4," "Final Fantasy 15," and the upcoming "Gran Turismo Sport." Unfortunately, it lacks an Ultra HD Blu-ray player or the ability to rent 4K movies or tv shows. However, an update from PlayStation did add the ability to play 4K videos from a USB stick or home server. In the other corner, we have the new Xbox One X from Microsoft, which will cost $499 when released on Nov. 7. In the meantime, the cheaper Xbox One S ($249) is able to "upscale" 1080p content to display in 4K for compatible TVs, but it cannot run Ultra HD games natively. The Xbox One X includes the ability to play 4K UHD Blu-ray discs and watch 4K movies purchased from the Microsoft Store, in addition to true UHD gaming at 60fps. Both Xbox One X and PlayStation 4 Pro can stream 4K content from popular services like Netflix and YouTube. Last but not least, we cannot forget the elite 4K PC gamer. For those willing to spend the cash, there are a wide range of products that can help update your gaming PC and embarrass your console-loving friends. You'll need a 4K display, a powerful processor, and a serious upgrade to your graphics card. Those who want the best should look for deals on an NVIDIA-powered GeForce GTX 1080 card, which costs about $600 and runs 4K games without breaking a sweat. For those on a budget, the Radeon RX 480 will run closer to 30fps and cost around $200.